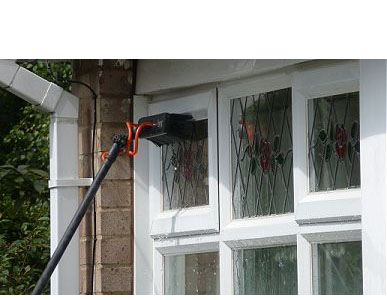 We are a skilled local window cleaning company with nearly two decades of experience and expertise. Our team of dedicated professional staff are passionate about providing a safe high quality and environmentally friendly window cleaning service throughout Bexleyheath and the surrounding area. We will provide free no obligation quotes on request and are always happy to offer our customers any advice they need. 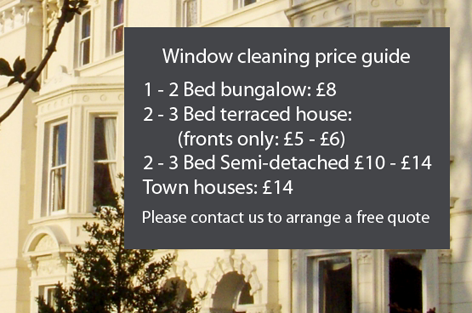 The prices shown are based on a regular monthly clean, however we can provide bi-monthly and individual one-off cleans although prices will change accordingly. One to two bedroom bungalow £8.00. Two to three bedroom terraced house (fronts only) £5.00 - £6.00.